Nothing is as personal as colour. Choosing the right kitchen colour scheme can have a dramatic impact on the overall look and feel of the space. It can have an impact on how you think and feel and even inspire your day and culinary creations to chef up throughout the day. 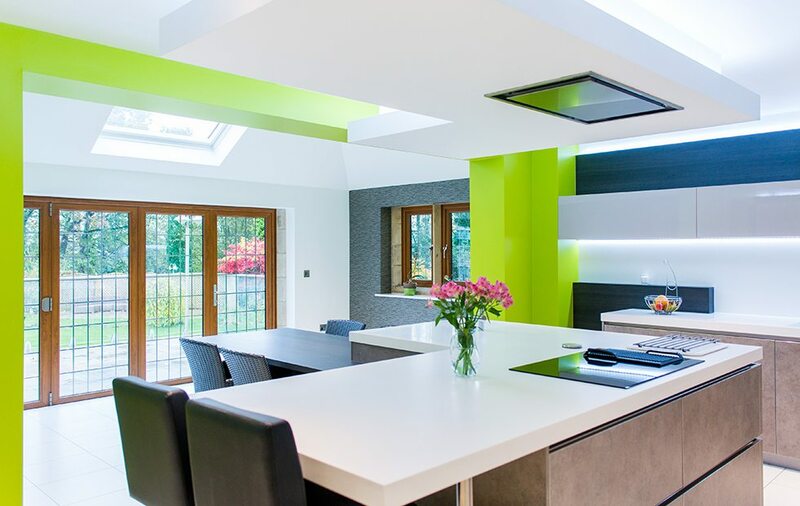 At Kitchen Design Centre, a colour consultation is an essential part of the process. 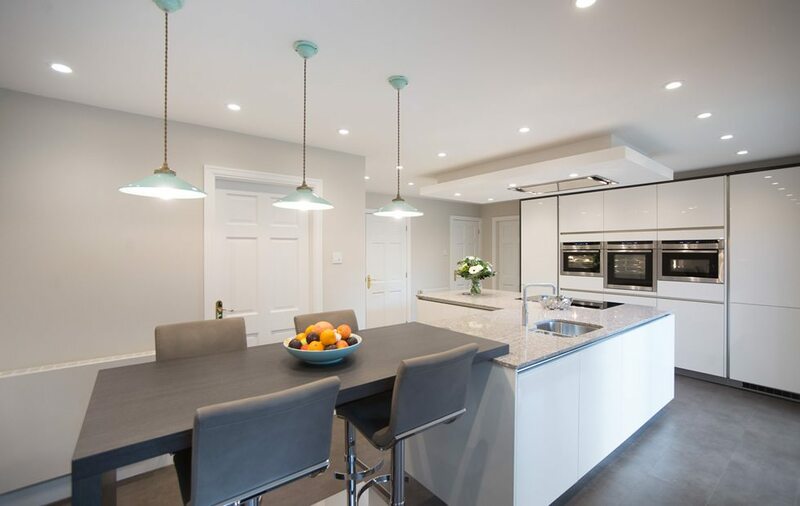 We discuss your wants and wishes, materials you plan to use and the overall feel you want to create to help you choose the right kitchen colour palette for you. Of course, we’ll always advise on ‘on-trend’ palettes too, highlighting the ones with real staying power to create a designer kitchen that’s ‘on-trend’ now and in the future. Eclectic and eccentric, if you’re looking for something a little different choose purples and violets. The vibrance and dramatic feel of a purple palette is very much in for 2015. Purple has the power to add richness to a room and bring it alive and is a great choice for a feature wall or splash back. Neutral, yet ever so stylish and sophisticated; grey used to be thought of as dull and boring but has really come into its own over the last year. It’s a colour that’s featuring prominently in interior design and by picking the right shades you can add real warmth to your home. Its versatility means it’s a great choice for the modern look as well as that country farmhouse look. Warm metallic colours like gold, copper and bronze add a luxurious touch to a kitchen. These warmer colours are in for 2015, over more traditional, cooler metallics like silver, chrome and stainless steel. So if it’s stunning style you’re after, you can’t go wrong with this gleaming finish. 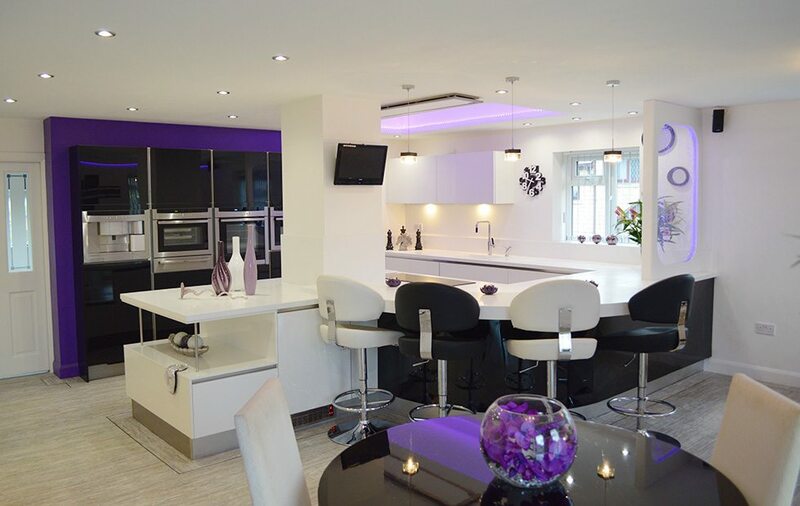 While purple deserves a category all of its own, the emergence of any bright colour into a kitchen is a great idea for a contemporary look. Colours such as orange, rich red and lime, paired with neutral or light hues, all give the impression of a lively, sociable setting, perfect for entertaining in. Remember to pick just one of these colours though and use it as an accent throughout your kitchen styling and décor. Don’t be afraid to mix and match colours – as long as they are complementary. If you’re looking for a more reserved style, opt for shades of the same colour or even natural woods and black. For more bold style, pick tasteful combinations like green and grey – giving your kitchen a contemporary and fun feel. 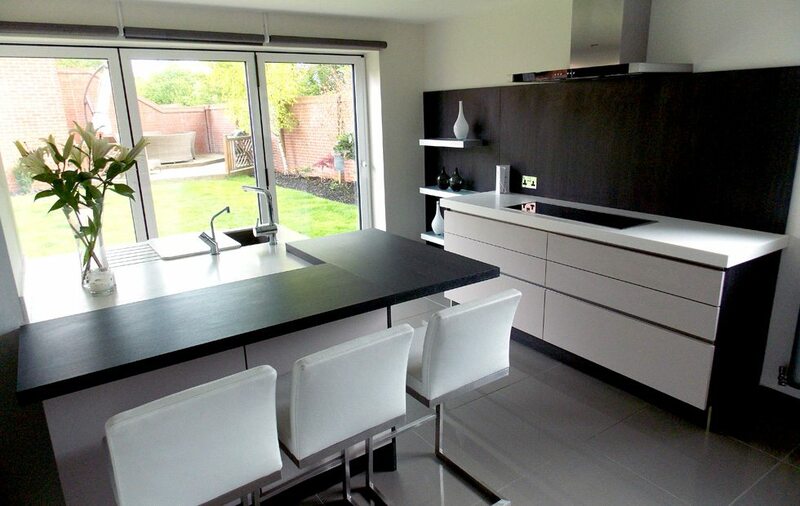 To start dreaming up your designer kitchen why not visit one of our North West kitchen showrooms? You’ll find plenty of inspiration and will be able to chat to one of our expert designers who’ll be able to talk you through the design process. To find out where we’re located, take a look at our contact page.